Transporting luggage takes up a major chunk of one’s energy while traveling. The energy consumed is higher if the trip includes hiking. 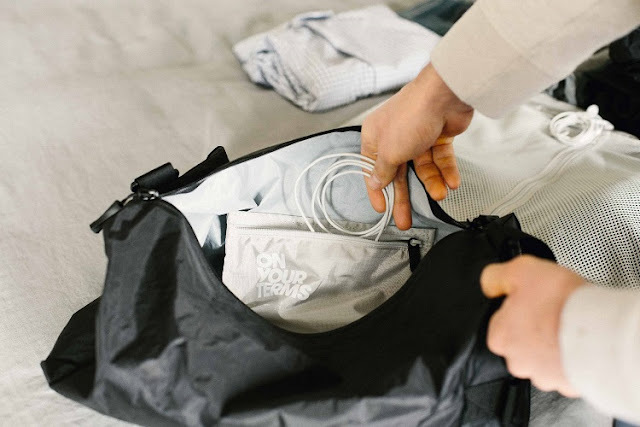 The core of any smooth trip is a light bag. The weight of the bag can make or break the trip. 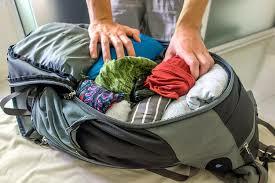 It is not possible to skip every essential element which is heavy while packing, but there are some don’ts in packing along with their alternate solution that can lead to a light bag. Full-sized perfumes occupy space and cannot be transferred in small pouches while traveling. Therefore, invest in travel-sized perfumes. They are small, light, and can even fit in a pocket. Don’t pack more than three pairs while traveling. Pack only the dual-purpose pairs as they can be worn for multiple occasions and saves space. Almost every hotel provides towel on request. Even the remotest hotel will have a store nearby supplying a towel. Therefore, it is illogical to carry the extra burden and waste so much space while packing. One can go for a sarong instead. They are lighter, cheaper, covers up almost everything, dries faster, and can be used as a scarf and beach towel. They can even be tied to a bag as well. Headphones are another item that takes up a lot of space and has high chances of getting damaged. Use small set earphones instead. They also offer a good sound experience and are incredibly handy while traveling. Shoe covers take a considerable amount of space. Do not use them but use shower caps instead. They are cheap, easily available and do not occupy much space. Instead of packing the essential heavy wearables such as boots, wear them. These can do wonders in traveling light. Pack light wearables such as designer t-shirts. They are comfortable and stylish at the same time. They also dry quickly and can be worn for several occasions. There’s no need to pack every medicine. Even the emergency ones can be bought from the destination. The medication which is consumed on a daily basis can be transferred into a pill pot. Extra pills cab be taken of medicines which are not available everywhere. It is foolishness to pack liquid toiletries as they can leak and spill. Use solid toiletries instead such as soap bars. If it is urgent to carry the liquid toiletries, don’t use a full sized bottle. Use small bottles and cling wrap them. Toiletries can even be purchased upon arrival. Many people love reading while traveling. Books are heavy and take up space. Try kindle instead. They are convenient and offers more than two thousand books to read. The font size can be increased, and it contains a dictionary feature which helps in increasing vocabulary. It provides more features than a book and saves millions of trees. Avoid using bulky and padded items such as neck pillows. Use the deflectable version instead. Use things that are compact and are collapsible. Travel pillows are deflectable and hence a good substitute for pillows. These were the ten don’ts that can lead to light packing and thus, a happy trip. Use a checklist if the trip is going to last for many days and wear comfortable clothing while on the move. One can even purchase graphic t-shirts online to save time. These are extremely light and comfortable.